An informed Palestinian source affirmed that a Palestinian young man in his 30s succumbed to serious injuries he sustained when Israeli policemen opened fire at him at dawn Thursday in Tel Aviv. 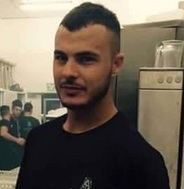 The young man was shot at dawn as he was walking with three others on Rishon LeZion street in Tel Aviv. The wounded man was taken to Ichilov hospital in the city, where he was proclaimed dead. The victim's identity is not yet known The police claimed it would open an investigation into the shooting incident. Over 50 Palestinian young men from different areas of the 1948 occupied lands had been killed by Israeli security and military elements since 2000. In previous similar incidents, the Israeli police had refused to launch investigations into the shooting of Arabs by its members and closed many cases of victims under the pretext of insufficient evidence because they were Arabs. During police operations to crack down on crime-ridden south Tel Aviv, four people were asked to identify themselves before one produced a gun and aimed it in their direction; Officers opened fire, three managed to flee the scene. Police critically wounded a young man overnight Wednesday in Tel Aviv when a man aimed at them after they called on him to identify himself. The incident took place as police in the area were conducting operations in south Tel Aviv in an effort to crack down on crime in the area. Close to midnight, officers came across four people at Tel Aviv's central bs station and asked them to identify themselves. After one of the suspects pulled out a gun and aimed it at them, the officers immediately responded with live rounds. There were no further injuries. The police said that the other suspects who managed to flee the scene were being pursued. The exact circumstances surrounding the event are yet to have been determined while . This unusual incident took place in the wake of a spate of violence and murder which have transpired over the last two days in the Arab sector. On Wednesday morning, Mohamed Handawi, an 80-year-old bedouin from the bedouin community of Tuba-Zangariyye in northern Israel, was stabbed to death by a 15-year-old neighbor. The boy was arrested shortly thereafter. Two days ago, Salem Abdallah, a 40-year-old woman from Kafr Yasif, also in northern Israel, was murdered while visiting her parents in the Galilee. She was found dead in the home with gunshot wounds. The same evening, yet another murder took place in Jadeidi-Makr near Acre in which a 42-year-old man was shot to death while his brother was lightly wounded. Palestinian police in Gaza Wednesday afternoon found a decomposed body in al-Shujaiya neighborhood to the east of Gaza City. It probably belongs to some of the martyrs who were killed in the Israeli aggression on Gaza in summer 2014, policemen opined. The police spokesman Ayman al-Batniji told Quds Press that the corpse is just a skeleton and thus the ID was not identified. It was transferred to al-Shifa Hospital in Gaza in order to be checked by a medical examiner so that it can be recognized. Gaza Strip was exposed to an Israeli aggression that started on July 07, 2014 and lasted for 51 days. 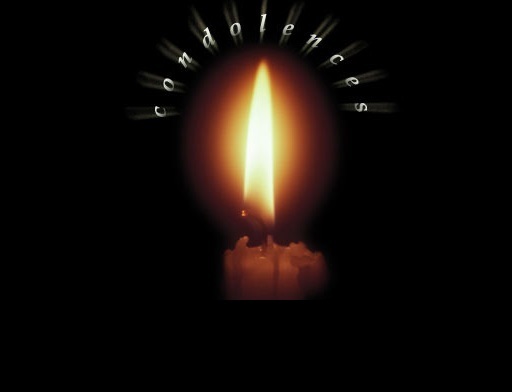 2,323 Palestinians were killed and thousands were wounded whereas a score of others were recorded as missing. Thousands of Palestinians’ homes were damaged as well. Dozens of Israeli soldiers invaded, on Wednesday at dawn, the town of Surif, northwest of the southern West Bank city of Hebron, and fired missiles into a home, before bulldozing it, leading to the death of one Palestinian, who was barricaded in the property for more than six hours, and exchanged fire with the army. 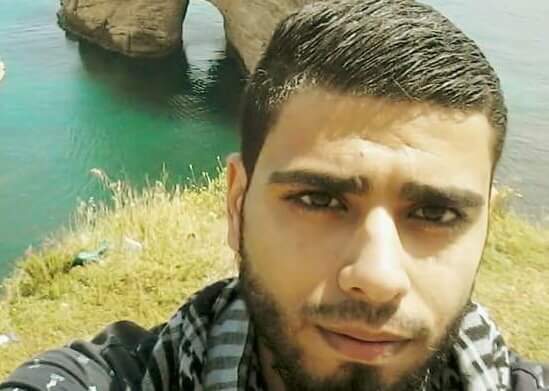 The head of Surif Local Council Mohammad Lafi said the soldiers located the remains of the slain Palestinian, who was later identified as Mohammad al-Faqeeh, 29, and took placed his body in one of their vehicles before driving away. He added that at least seven Palestinians were injured in clashes that took place between the invading soldiers and local youths, who hurled stones and empty bottles at the army, while the soldiers fired live rounds, rubber-coated steel bullets and gas bombs. The soldiers are now completely surrounding Surif, after they declared it a closed military zone, preventing the Palestinians from entering or leaving it. Dozens of Israeli soldiers invaded, on Tuesday at dawn, Surif town, northwest of the southern West Bank city of Hebron, and fired missiles into a home, before bulldozing and demolishing it. Eyewitnesses said the soldiers surrounded the property, and used loud speakers demanding a Palestinian to surrender. An exchange of fire took place between the soldiers, and a person who was barricaded in the home, before the army fired at least two missiles into it. The property in question is a three-story building in Wad Jaddour area, in Surif, and is owned by a Palestinian identified as Mohammad al-Heeh. The army placed Surif under complete siege, declared it a closed military zone, and said the Palestinian is wanted for the military and security services. The head of Surif Local Council, Mohammad Lafi Eghneimat, said that the soldiers also cut electricity supplies to Surif and al-Jab’a nearby village, before pushing many armored vehicles into them. The invasion also led to clashes between the soldiers and many local youths, who hurled stones and empty bottles on the military vehicles, while the army fired live rounds, rubber-coated steel bullets and gas bombs. 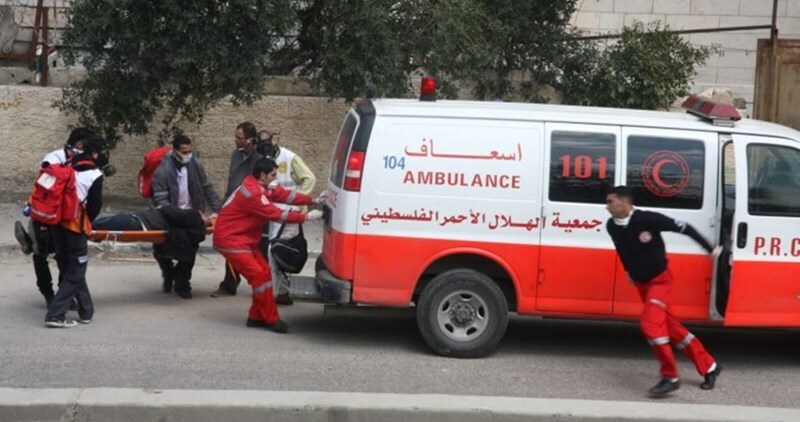 Medical sources in Surif said seven Palestinians were shot with rubber-coated steel bullets and live rounds; three of them were moved to a hospital, while many others suffered the effects of tear gas inhalation. A Palestinian citizen from Araba town, south of Jenin, died Wednesday afternoon of a heart attack after waiting for long hours at an Israeli military checkpoints near Tulkarem. Local sources told the PIC reporter that Ahmed Abdul Khaleq, 42, who works within the Green Line suffered a sudden heart attack after being forced to stand for a long period at the military checkpoint. The sources pointed out that standing for long periods at Israeli checkpoints always lead to a state of tension among the workers. Several Palestinians died at military checkpoints after witnessing similar difficult circumstances. The Palestinian Health Ministry has reported that one child was killed, Tuesday, after an Israeli soldier shot him from a close range in the town of al-Ram, north of occupied Jerusalem. 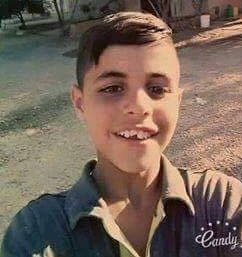 The Ministry added that the child, Mohammad Sidqy at-Tibakhi, only 12 years of age, was shot in the chest, and died of his serious wounds at the Palestine Medical Complex, in Ramallah. Eyewitnesses said an Israeli army sharpshooter shot the child from a close range, after the soldiers invaded the town, and clashed with many local youngsters, who hurled stones at the military vehicles. The killing of the Palestinian child led to extended clashes between the soldiers and local youths, especially close to the military base, built on Palestinian lands near the town. The soldiers fired dozens of gas bombs and rubber-coated steel bullets, causing several injuries. The Health Ministry said the death of the child brings the number of Palestinians killed by Israeli fire since the October 1st 2015 to 229, including 53 children. Among are 52 from Jerusalem, and 67 from the southern West Bank district of Hebron. Israel is still holding captive the bodies of 14 Palestinians, who were killed by its military; half of them are from Jerusalem, and the rest are the different parts of the West Bank. 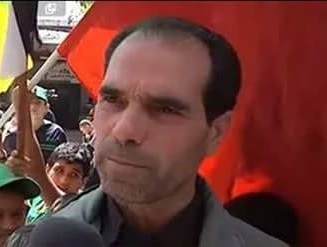 51-year-old Mustafa Barad’iyah, was announced dead today, of wounds sustained by Israeli fire on Monday. Israeli soldiers shot Mustafa with two bullets in the stomach for reportedly stabbing and lightly wounding two soldiers at the entrance of Al-Arroub refugee camp, to the south of Bethlehem. The two soldiers were treated on the spot by Israeli ambulances, while Israeli forces prevented them from approaching or treating Barad’iyah before finally taking him to hospital. 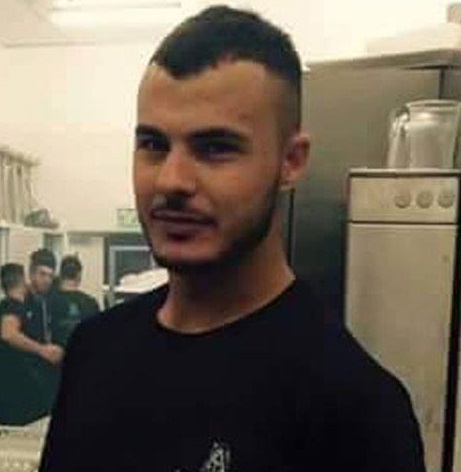 An identified Palestinian young man was killed while another was injured on Wednesday when Israeli Occupation Forces (IOF) opened fire at their car in al-Ram town north of occupied Jerusalem. Israeli and Palestinian media sources affirmed that Israeli soldiers opened fire at a Palestinian car on Wednesday morning for allegedly trying to carry out a hit-and-run attack in the town. Eyewitnesses told the PIC reporter that Israeli forces targeted the car with a barrage of live ammunition. Palestinian ambulance crews were prevented from reaching the scene, while the two injured passengers were moved to an Israeli hospital where one of them was proclaimed dead. Israeli second channel claimed that Israeli border guards opened fire at a Palestinian car after suspecting a hit-and-run attack. Two passengers were shot at the scene and a third was arrested, the sources pointed out. Last month, five teenage Palestinian boys were on their way home, after spending the evening at a swimming pool in the village of Beit Sira west of Ramallah, celebrating the recent arrival from Qatar of friends who were to spend the summer in their hometown of Beit ‘Ur al-Tahta. However, their fun came to a halt when an Israeli soldier began showering the car with live fire, killing 15-year-old Mahmoud Raafat Badran and seriously injuring four others. Israeli Army claimed that the car the boy was travelling in had been “mistakenly hit” as the soldiers chased Palestinian stone throwers. 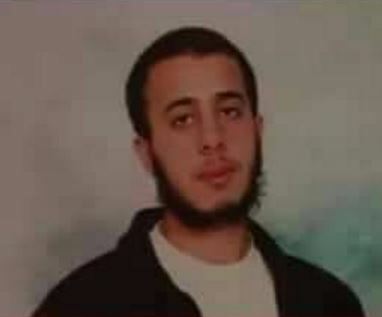 The al-Qassam Brigades, the armed wing of Hamas movement, has reported, Thursday, that one of its fighters, who was shot and seriously injured by Israeli army fire, last year, died of his wounds. 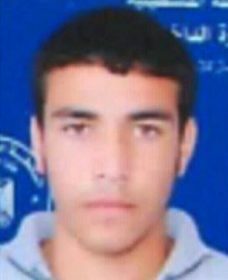 In a press release, the al-Qassam Brigades said Nael Salah, 19, was from Beit Lahia, in the northern part of the Gaza Strip. It also said that it will its fighters will always remain steadfast, and ready for any Israeli military escalation, according to the statement. 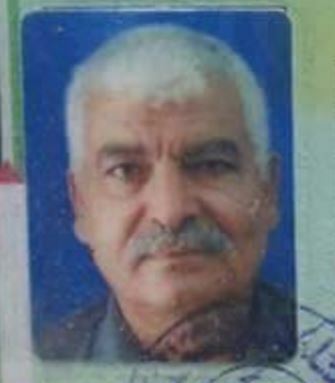 Updated: The slain Palestinian man has been identified as Taiseer Mohammad Habash, in his fifties, from Aseera ash-Shamaleyya, near the northern West Bank city of Nablus. Jul 1, 2016 @ 14:01 The Palestinian Health Ministry has reported, Thursday, that a Palestinian man, in his fifties, died due to severe effects of tear gas inhalation, after Israeli soldiers assaulted dozens of Palestinians trying to cross Qalandia terminal, north of Jerusalem, on their way to the Al-Aqsa Mosque. Palestinians who gathered near the terminal while trying to cross into Jerusalem, to perform prayers in Al-Aqsa Mosque, on the last Friday of the holy Muslim month of Ramadan. The man was lying on the ground just a few meters away from the soldiers who did not offer any help, and prevented the locals, including medics, from reaching him. The Palestinian Health Ministry said it is awaiting official verification of the slain man’s identity. Palestinian Red Crescent medics later managed to reach the wounded man despite the large number of gas bombs fired by the soldiers, and various military restrictions, and tried to save his life before rushing him to a hospital, but he died due to severe effects of tear gas inhalation. The soldiers also assaulted dozens of Palestinians with clubs and batons, and prevented all men below the age of 45, from crossing the terminal. At least forty Palestinians were injured after the soldiers fired gas bombs and rubber-coated steel bullets, and several others suffered cuts and bruises when the soldiers assaulted them. The soldiers completely closed the terminal and fired rubber-coated bullets at Palestinians who tried to approach it. Israel soldiers killed, on Friday, a pregnant Palestinian woman near the Ibrahimi Mosque, in the southern West Bank city of Hebron, while a number of eyewitnesses refuted the military claims of an attempted stabbing attack. The Palestinian woman, identified as Sara Haddoush Tarayra, 27, from Bani Neim town near Hebron, was a pregnant married woman and was killed at the entrance of the Ibrahimi Mosque, in Area H2, in the city. Eyewitnesses said a female soldier ordered the woman to accompany her to a room in order to search her, and that the soldier sprayed the woman with pepper spray, an issue that pushed her to run away from the soldier before other soldiers shot and killed her. They added that the army had no cause or justification to shoot the young pregnant woman, and could have easily subdued her, without resorting to lethal fire. The soldiers also prevented Palestinian medics from approaching the injured woman, and she died from her wounds shortly afterwards. Israeli soldiers killed, on Friday, a Palestinian woman, near the Ibrahimi Mosque, in Hebron city, in the southern part of the occupied West Bank, reportedly after she attempted to stab a soldier. 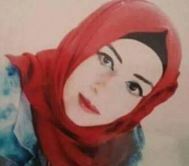 The soldiers fired several live rounds on the young woman, causing a very serious injury, and left her to bleed to death, media sources in Hebron said. Israeli Ynet News said the Palestinian woman has been identified as Sara Haddoush Trayra, 27, from Bani Neim town, but resides in Hebron city, and added that no soldiers were injured in the attack. The army claimed that the young woman attempted to stab a soldier, manning the roadblock near the entrance of the mosque, before she was shot dead. Palestinian Red Crescent medics rushed to the scene, but the soldiers prevented them from approaching her. 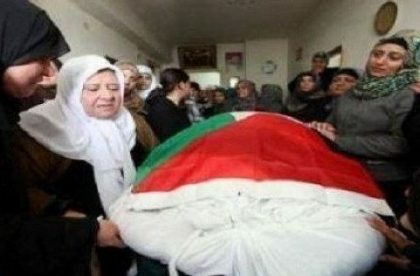 The soldiers later placed her body in a black plastic back, before an Israeli ambulance took her to an unknown destination.